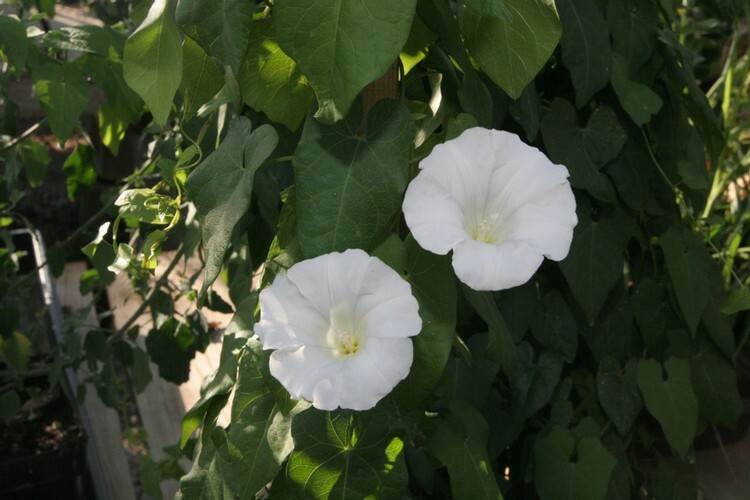 Perennial from rhizomes, trailing or climbing vine to 10 feet long, with distinct triangular leaves. Found throughout the eastern United States to the Great Plains, and also in the upper northwestern states. 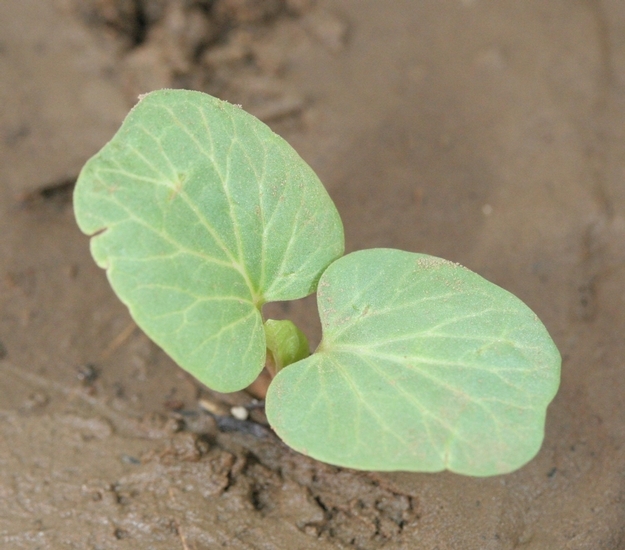 No cotyledons are present when plants emerge from rhizomes, as is usually the case. However, cotyledons are as long as broad, almost square, without hairs, and slightly indented at the tip. Youngest leaves of sprouts from rhizomes are triangular in outline, with either a heart-shaped or sharply lobed base. Petioled, alternate, triangular in outline, 2 to 4 inches long, most often found without hairs. Leaves have a pointed tip and distinctive angular bases that are cut squarely across the top (truncate), and resemble the ears of a dog. Trailing along the ground or climbing, may be with or without hairs. 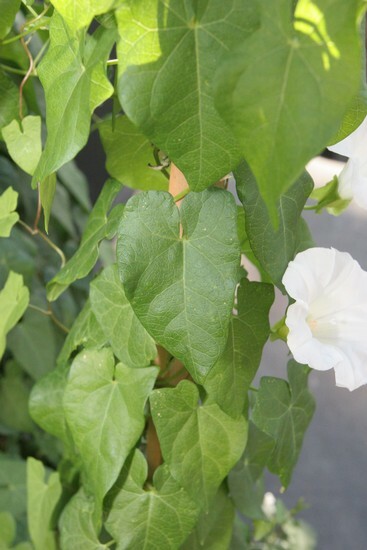 On long flower stalks (2 to 6 inches), solitary in leaf axils, usually white, sometimes pink. Two leafy bracts are present at the base of the flower, and the flowers are fused into a funnel-like structure. 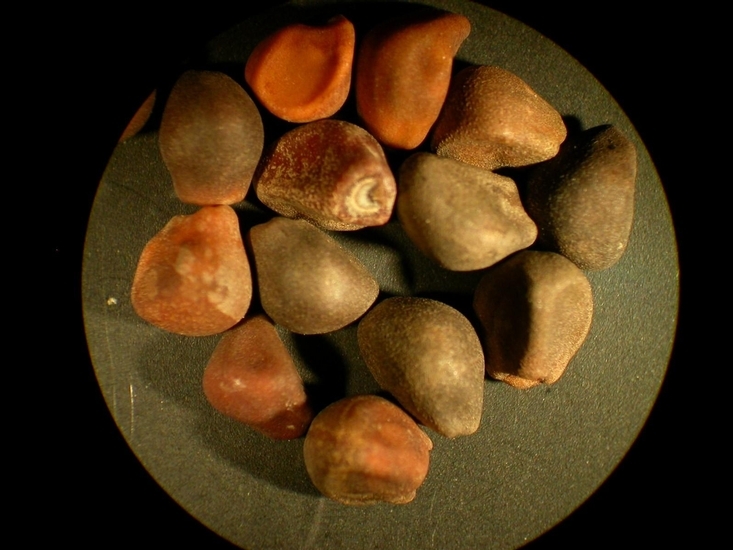 A capsule containing 2-4 seeds. 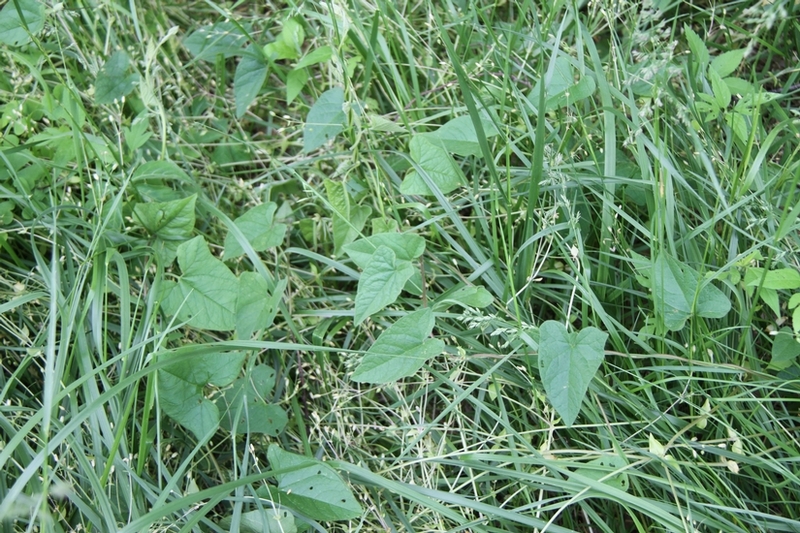 Flowers have two leafy bracts at the base, leaves are triangular in outline with dog-ears. 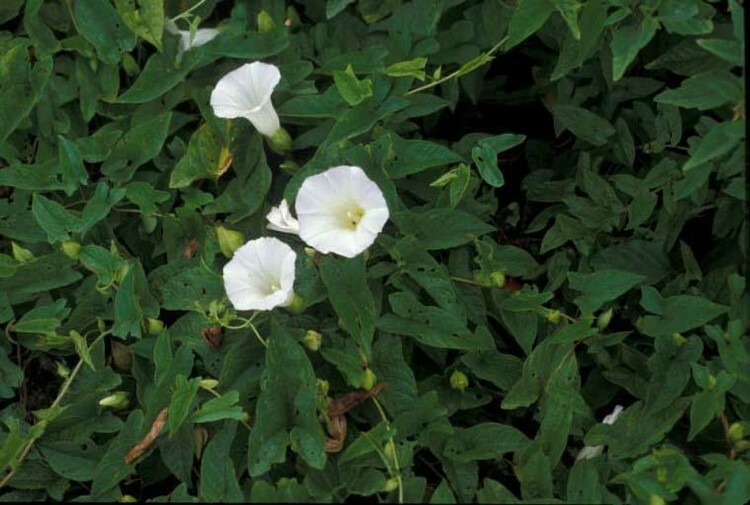 This weed is often mistaken for Field Bindweed (Convolvulus arvensis). 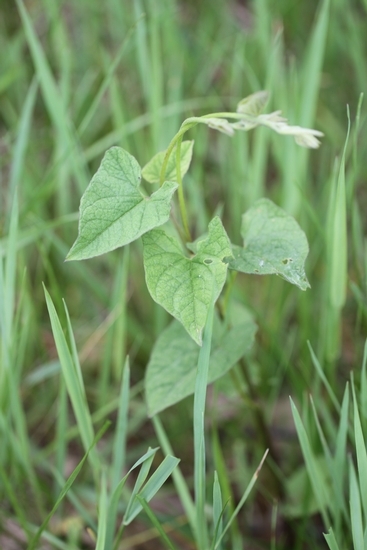 However, field bindweed leaves are smaller, with a more rounded apex and bases that are pointed or rounded, but not cut off squarely across the top as in hedge bindweed.